The trouble lying beneath the Packers’ infrastructure did not come to fruition until former GM Ted Thompson stepped down. Even the casual bystander knew there needed to be a major overhaul on defense. That issue was addressed with the hiring of Mike Pettine. What we didn’t know was that Mark Murphy would hire internally for a new GM, causing major casualties in the front office. After being snubbed for Brian Gutekunst, Eliot Wolf and Alonzo Highsmith joined John Dorsey in Cleveland. And yet, despite the tough decisions that have already been made, the hard part still isn’t over. Now that the coaching staff has been finalized and the front office has implemented a new tiering system, all of their attention will be focused towards the players. 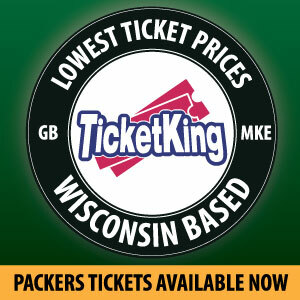 As the Packers navigate through the 2018 offseason and work toward the draft, certain things must be tended to. Here is how the Packers list of priorities should look as they prepare for the immediate future of the franchise. The Packers secondary has as much stability as a house of cards. One swift breeze and everything collapses. If you still think HaHa Clinton-Dix is a pro-bowl safety then you need to watch more of Minnesota’s Harrison Smith and Seattle’s Earl Thomas. Those guys are pure playmakers that can effect the outcome of a game. Clinton-Dix too often disappears in big moments. At corner, Damarious Randall rebounded well during the second stretch of the season. He led the team with four picks, but two of those fell into his lap. He usually finds himself in the right place at the right time than actually making a play for himself. Randall is more efficient in the slot and should be used more as a third safety moving forward. Davon House is no longer an every down outside corner. He can’t hang with the speed of vertical receivers and his ball skills have always been limited. There really is no point in bringing him back. Kevin King shows promise, however his burst to the ball is an area that needs improvement. Receivers are able to get easy separation on him with basic footwork. If King is a starting outside corner in 2018, he will need favorable match-ups. The Packers can either rely on the draft again or find someone in free agency as the second outside corner. It’s also worth mentioning that we have no clue if Morgan Burnett will be back next year. Is Josh Jones ready to take his place after an up and down rookie year? Regardless, additional talent must be added to this group of defensive backs. Amidst the chaos at 1265 Lombardi Avenue, Aaron Rodgers has remained silent. His friend and mentor Scott Van Pelt was fired, but he was reunited with Joe Philbin. Rodgers is due for a contract after the 2019 season and as it stands now he is immensely underpaid. This much is obvious. However, his silence during this personnel makeover does not put anyone at ease. There is little cause for concern, but the Packers need to get a deal done now so more players will buy in to the change of culture. After all Rodgers is the leader of the locker room and the face of the franchise. Therefore, others will follow suit once they see Rodgers committed. The front office will want to avoid going a whole season with this hanging in the balance because his price is only going to go up. 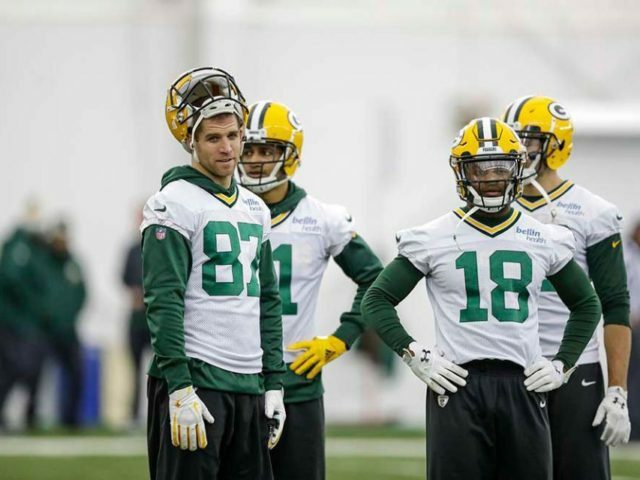 The money being forked over to the Packers top three receivers has been a consistent topic. With Davante Adams new deal in place: him, Randall Cobb, and Jordy Nelson all rank in the top-18 in terms of salary among receivers. The only team close to that is Denver with two. Nelson has stated he is open to restructuring, but Cobb needs to be honest with himself as well. Neither receiver is great at creating separation downfield and Cobb has never been a vertical threat. Both of these guys rely on polished pass catching, but that doesn’t get you open. Nelson and Cobb combined for 1,136 yards and 10 touchdowns in 2017. Those numbers should be produced by a single receiver making $10 million a year, not two. Instead, these guys are worth around $7 million at best. If they can not come to grips with that then one has to go. Increasing pressure on the quarterback is another area that needs attention, but I do not consider it a priority. Mike Pettine will address this once he has a better understanding of what he has to work with. Clay Matthews and Nick Perry are still a tremendous duo at outside linebacker. Accompany that with Pettine’s uncanny blitz schemes and the pass rush may sort itself out. Pettine stated on Wednesday that he likes Clay’s versatility, so don’t expect him to go anywhere. The front office and coaches have a full plate so balancing each task is key. If one things for certain, there will be plenty of compelling headlines in the coming months. This entry was posted in Brandon Carwile, Uncategorized and tagged Aaron Rodgers Contract, Alonzo Highsmith, and Davante Adams Contracts, Damarious Randall, Davon House, Eliot Wolf, HaHa Clinton-Dix, Jordy Nelson, Kevin King, Mike Pettine, Packers 2018 offseason, Packers Secondary, Randall Cobb, ted thompson, To Do List. Bookmark the permalink. The Packers have all the leverage they need with Nelson, Cobb and I would include Matthews in this group. Bring them all in and lay it on the line, “take a pay cut or get cut”, your choice. Its a win win for the Packers, and there is no reason not to follow thru, cutting any of the 3 is completely justifiable. I agree with Don. I’ll add one more though, Buluga! Must restructure or good bye. Restructuring contracts sounds like a good idea. Mathews moving inside sounds like a good idea. Martinez is a tackling machine and a smart player. Bulaga I’d trade to the Giants for a disgruntled Eli Apple. I’m sorry,but Jordy shouldn’t be going anywhere just yet. The last thing is we must draft or through free agency upgrade at TE. The draft has a couple of good ones. The Penn State kid may surprise us and Fumagali from Wisconsin is a hometown favorite with some potential. I’d like to do better then both of them.